In mindfulness meditation practice we are invited to anchor or ground our awareness in something we can sense, the breath being the most common anchor. Often the assumption in meditation instruction is that the breath is a neutral, portable, dynamic, rhythmic object of awareness that is a convenient place to train our awareness on. However, the breath doesn’t feel like much of an anchor for some people. Trauma memories can be associated with the face, neck and chest area – all places on the body that the breath moves through. If our particular trauma memory is carried in these parts of our body, then this is not a neutral place to rest our awareness. Or, if we have difficulty breathing as a result of a chronic or acute physical condition, bringing awareness to this physiological process probably won’t feel grounding. The breath is not a neutral object of awareness and may actually increase our anxiety and move us out of our window of tolerance. In addition, according to some wisdom traditions, our heart area is the part of our body where many emotions are stored and felt. We might feel love, kindness, generosity and compassion in our heart area, and we might also feel the other side of these emotions – isolation, scarcity, loneliness and grief. When we bring our awareness to this part of our body, we might tap into any of these qualities of the heart. For some of us, this might feel soothing, but for others of us who carry a heavy heart, this might feel distressing. When Lauri Nummenmaa, Enrico Glerean, Riitta Hari, and Jari K. Hietanen did research on where we feel particular emotions in our body, they found that many emotions are felt in the throat and chest area, so when we bring our awareness to this area we can tap into a range of emotions, some uplifting and others challenging. If we are interested in cultivating a mindfulness meditation practice but we are challenged by anchoring our awareness on the breath, or we are a teacher of mindfulness and wish to offer options for folks who are challenged by using the breath as an anchor, we can consider some alternative anchors based on what we understand about our sensory system. that give us information about our body (body-centered). Smell – tells us about the safety of our food and also alerts us to objects in our environment. Interoception – tells us about the state of our internal landscape including muscles, ligaments, joints and tendons, as well as felt sense or intuition. Focussing our awareness on the breath is part of our ability for interoception, which can be the most challenging sense to tap into when we have experienced trauma or when we have ongoing pain in our body. Tamara Russell, author of the book Mindfulness in Motion, at the Neurocognitive Foundations Mindfulness Teacher Training in Brazil this year suggested that breath meditation is quite an advanced practice. Even though breath meditation often offered (mistakenly) believed to be an accessible practice, anchoring in other senses can feel much more supportive for some of us. If we have difficult memories and associations with body-centered sensations, we might employ environment-expanded sensations as a way to anchor our awareness in something more neutral and further from our physical body (like focussing on sound or something in our visual field). If we feel we have dissociated from our body or spaced out, we might gently employ body-centered practices to get in touch with how we are feeling and to ground our experience in the present moment. Practices involving firm pressure can be particularly helpful (like focussing on the soles of the feet or the pressure of holding our hands together). Note: Particular smells can have quite an effect on our emotions as our sense of smell has a direct link to our amygdala which processes memories and emotions. This is important to know if we have trauma in our story and is one good reason for us to have scent-free group meditation spaces. Another good reason is that chemical scents, including essential oils, can induce fragrance sensitivity symptoms such as headaches, dizziness, breathing difficulty and watery eyes for some people. Mindful walking or running on uneven surfaces (eg in the forest). deep pressure touch which is generally grounding (helps us to feel sources of stability). Running our hand rhythmically over a texture we enjoy like a fluffy blanket or soft-bristled brush. Being mindful while receiving a massage. 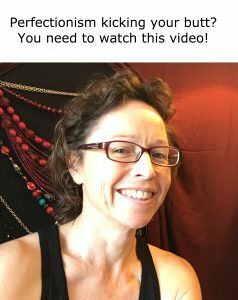 If you’d like to continue to explore trauma-sensitive ways to be with your body within a self-compassion practice, please check out Somatic Self-Compassion training. We’d love to see you there!